Supplements don’t work? It says so on the bottle! “This statement has not been evaluated by the Food and Drug Administration. This product is not intended to diagnose, treat or cure or prevent any disease.” Isn’t that what it means? Supplements are not overseen by the federal government anyway… so why take them? This is an age-old adage I intend to dispel. Dietary supplements are heavily regulated by the FDA, and determining a) if a supplement is safe and b) if a supplement can help you can be confusing! I’m here to help. Let’s look at some history first. The Food and Drug Administration (FDA) is the oldest comprehensive consumer protection agency in the U.S. federal government. It was originally a function of the Patent Office around 1848, where chemical analyses were conducted on agricultural products, but the agency didn’t get its recognizable name until 1930. In 1906, The Food and Drugs Act provided laws for consumer protection. In 1938, The Federal Food, Drug and Cosmetics Act authorized standards for food and to be able to conduct factory inspections. 1962 brought even more changes with the Kefauver-Harris Amendments, which strengthened drug safety. The Medical Device Amendments in 1976 provided laws for faulty medical devices. Then in 1994, the FDA signed the Dietary Supplement Health and Education Act (DSHEA) Act. A manufacturer does NOT have to prove safety and effectiveness of a supplement before it is marketed. Nutrient content claims can be made if they use words such as “free, high, and low” or as compared to another food. A manufacturer IS permitted to say a dietary supplement addresses a nutrient deficiency, supports health or is linked to a body function—but only if there is research to support the claim. Only a drug can legally claim to treat a disease. A company cannot say that saw palmetto treats benign prostatic hypertrophy (BPH). However it can say that saw palmetto supports male urinary health. In other words, a manufacturer can claim their supplements can benefit an organ or system and its function, but not diagnose a disease. Another example: calcium does not treat osteoporosis, but it does optimize bone health. These claims MUST be followed by the words: “This statement has not been evaluated by the Food and Drug Administration. This product is not intended to diagnose, treat, cure, or prevent any disease.” Therefore, you see this statement on all supplements. Remember: only a prescribed drug can make claims in the treatment of a diagnosed disease. But that doesn’t mean a dietary supplement can’t support or benefit the organ or system that needs a little help! What else does the DSHEA law require of supplements? Percentage of daily value based on RDA (recommended daily allowance) Note: RDA’s are largely recommended to prevent disease. For example, the amount of vitamin C (ascorbic acid) to prevent scurvy. This is not necessarily the amount needed to make physiologic changes toward health. An NLEA Serving is a standardized serving size that arose from the U.S. Government’s Nutrition Labeling and Education Act (1990). The NLEA regulations are governed by the FDA, and they restrict the typical serving size that can be claimed on a U.S. Nutrition Facts label. The intent of this regulation is to deter food manufacturers from misleading the public into using serving sizes that are unrealistically small or large. Food manufacturers must now report serving sizes that are reasonably close to the NLEA standard. This standard is different for each type of food and applies to virtually all foods except meats. Did you know an NLEA-standard serving size for Ketchup is two tablespoons? The United States Pharmacopeia (USP) is an official, public, standard-setting authority for all prescription and over-the-counter medicines and other health care products manufactured or sold in the United States. USP also sets widely recognized standards for food ingredients and dietary supplements. USP sets standards for the quality, purity, strength, and consistency of these products–which is critical to the public health. USP’s standards are recognized and used in more than 130 countries around the globe. Prescription and over-the-counter medicines available in the United States must, by federal law, meet USP’s public standards. Good Manufacturing Practice or GMP (also referred to as ‘cGMP’ or ‘current Good Manufacturing Practice’) is a term that is recognized worldwide for the control and management of manufacturing and quality control testing of foods, pharmaceutical products, and medical devices. This includes if herbs are harvested organically and where they are grown. MedWatch is the Food and Drug Administration’s (FDA) program for reporting serious reactions, product quality problems, therapeutic inequivalence/failure, and product use errors with human medical products, such as drugs and medical devices. Report adverse reactions by calling the FDA at 1-800-FDA-1088. So how can I find the right supplement for me? 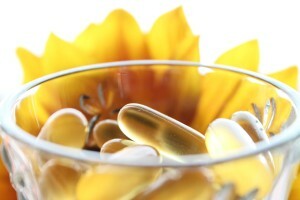 If possible, and if the client is willing, I prefer to optimize health with nutrition, supplements, and herbals first. I also recommend specific high-quality companies that strictly adhere to the above guidelines. When buying cheaper supplements, often you are not getting the appropriate amount of active ingredients, but lots of extra unnecessary fillers and dyes. To limit the confusion of what brands to buy in stores, you can access my FullScript Dispensary from my website (look under Resources). All the brands found there are fully vetted and meet all the criteria of safe supplementation. If you are interested in herbal recommendations, do not hesitate to contact me. Recommendations can lead to 20% discounts for your first order FullScript Dispensary!